My oldest goddaughter is getting married today. Even though we have never lived in the same place and sometimes even thousands of kilometers have separated us, our connection has never wavered. I’ve been praying for her since before she was born and that’s the key here: prayer. We don’t have this great connection because I would have been such an awesome godmother. It’s because of God’s grace. And that’s the secret to any steady relationship. Prayer is also the pathway to a love-filled marriage. There are way too many marriages failing these days. They say they lost their loving feeling. But marriage is not about always having a certain feeling. It’s about choosing to love steady even on those days when we have absolutely no loving feeling left. How is it possible? We can’t but God can. That’s why we need to pray for our spouses and our marriages but, specifically, we need to ask for more love. That’s right. The key for a love-filled marriage is to pray for more love. Our human love will fade. But God’s love never will. Our supplies of love will diminish. But God’s love lasts forever. God is more than happy to give us more love when we ask. He is delighted to pour out love upon love on us. And, let me tell you, this really works. Every time I ask for more love, I receive it. For a long time, I did not figure out how this worked. I was just happy it did work. Whenever I felt I had lost that loving feeling and I prayed for more love, there was an ample supply of it delivered in the midst of us. Miraculously, it did work. (Try it yourself, it works in any relationship.) It took me quite a long time figure out how this worked. How can love be delivered to us? But then I remembered that God is love. When we pray for love, we receive Love, we receive God himself. That’s holy. And powerful. Hence, when we have Christ in our midst, we have a love-filled marriage. It’s that simple. Yet, we tend to forget it. As Christians, we are to live in God. When we do that, we live in love. When we pray for love, we receive more than we asked for: we receive God who is love. Then it’s not us loving our spouses anymore. It’s Christ in us. Then it’s not us creating a love-filled marriage. It’s Christ in our midst. Hence, a love-filled marriage is possible. Not because we’d be so great at it but because God is more than awesome. So, my marriage advice is this: Ask for more love and you will receive. Thank you that a love-filled marriage is possible. We ask for more love, Lord. We ask for more you in our lives. Bless all the marriages, old and new. 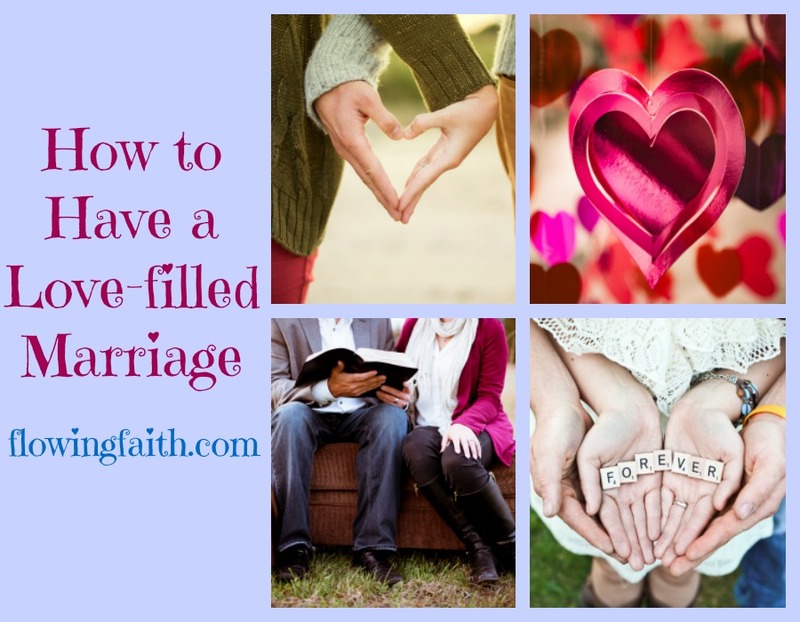 Q4U: Do you believe it’s possible to have a love-filled marriage? Be blessed, my fellow pilgrim, as you steadily ask for more love! Image courtesies of Kristina Litvjak, Clem Onojeghu, Gabby Orcutt and Ben White via Unsplash.com, design by Mari-Anna Stålnacke. Linking up today with Dance with Jesus, Five-minute Friday.